​I love coming back to sea level after time spent at altitude. The process of being at high altitude kicks off physiological changes in your body that helps you adapt to the thinner air so your body is better equipped to handle aerobic exercise. It’s the reason why athletes may choose to train at altitude. For me, I’ve recently returned from a successful summit of Mt Elbrus in Russia, and I had been looking forward to seeing how I would fare in my next race. The next race, as it happens, was last weekend in North Wales. 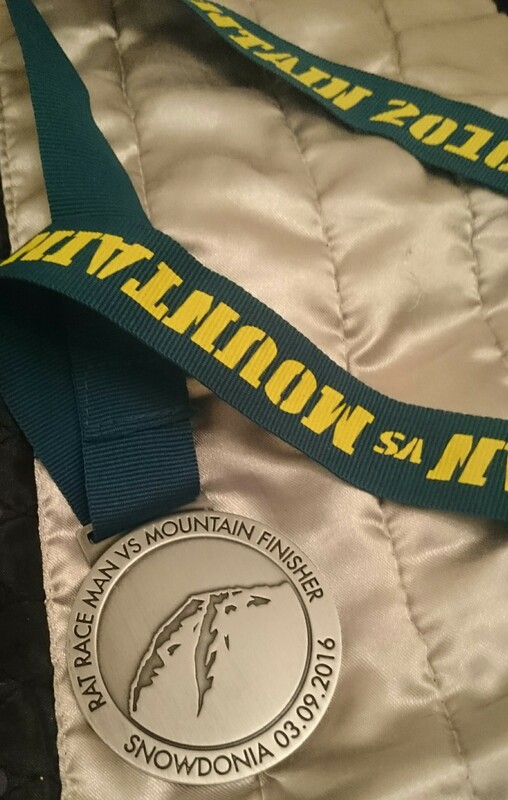 Another Rat Race event, “Man v Mountain”- from Caernarvon, up Snowdon, back down, up the slate mines, back down and then a few obstacles in and around the waters of Lake Padarn. On Elbrus I’d experimented with my improved aerobic capacity, running up part of the mountain and back down again, and I was pleasantly surprised with my performance (despite twisting my ankle on the descent). On the morning of Man v Mountain, the weather was blowing up to 60 knots on the summit of Snowdon, so the race organisers tool the safety precaution of diverting the course, turning round on the Rangers Path, short of the summit. From Caernarvon Castle, my wave of runners set off on a warm September morning, for 22 odd miles of running. I ran at a comfortable pace, and let a lot of runners pass me- judging by their pace, I expected they were making the most of the flat six miles before the ascent. On the Rangers Path heading up Snowdon I kept the pressure up, running as most walked, only slowing as descending runners passed on the narrow path. At the highest point of the race we were unceremoniously turned around, and I overtook many more on the descent. The second and final significant ascent of the morning was the ‘Killer Kilometre’ up through the slate mines, which I took slowly as my legs were heavy. I let runners past, but made a point of overtaking most of them on the final descent towards the water-themed obstacles. After a lot of jumping/running in and out of bodies of water, I finally crossed the finish line in a good time, finishing in the top ten percent of competitors for the day. I definitely felt the positive effects of acclimatisation to altitude whilst on the race, though I was definitely aided by an interesting course with beautiful scenery. Thanks to the marshals for a well organised event, and to MJT for giving chase most of the way around the course!